Birds of prey hunt for food, including other birds, primarily using their large talons and strong beaks that are well suited for the purpose of tearing flesh. These large, powerful birds display a characteristic curved tip to their beak and have excellent vision that allows them to spot small prey at a distance. The Andean Condor has the broadest wingspan - over 10 feet (3 meters). The California Condor is the heaviest, weighing up to 31 lbs (14 kg); and the longest - up to 55 inches (1.4 meter). If you don't include vultures, the eagles are next in line as far as size is concerned. 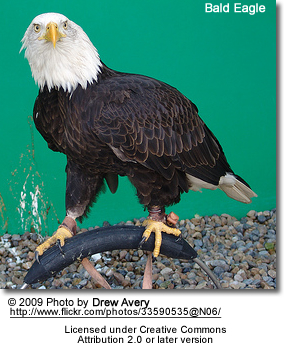 The heaviest is the Stellar's Eagle (up to 20 lbs or 9 kg). The largest in terms of physical dimensions is the Philippine (up to 3.36 feet or 102 cm). The most powerful is the Harpy Eagle with strong, curved talons that are as long as the claws of a grizzly bear (about 5 inches or 12.5 cm long). Eagles: These are large birds of prey with long, broad wings and strong legs. 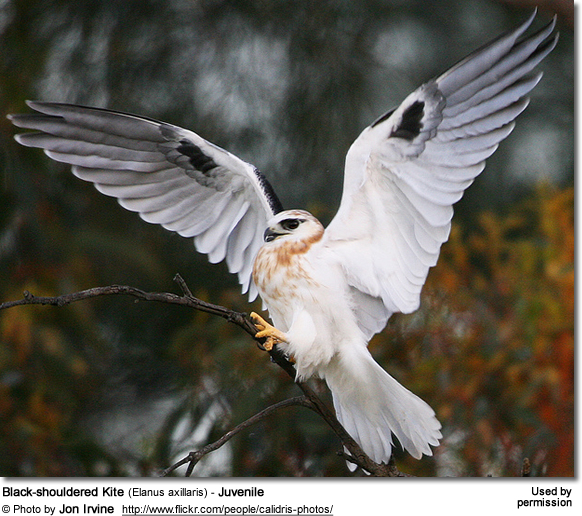 Kites: Characterized by their long wings and weak legs. They spend much of their time soaring. Even though they take live prey, they mostly feed on carrion (carcasses of a dead animals). Falcons: Small to medium sized with long pointed wings. 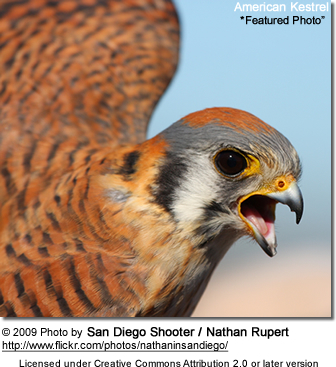 Unlike most other raptors, they belong to the Falconidae rather than the Accipitridae. Many are particularly swift flyers. Instead of building their own nests, falcons appropriate old nests of other birds but sometimes they lay their eggs on cliff ledges or in tree hollows. Owls: Nocturnal hunting birds of different sizes that fly soundlessly and have very acute senses of hearing and sight. 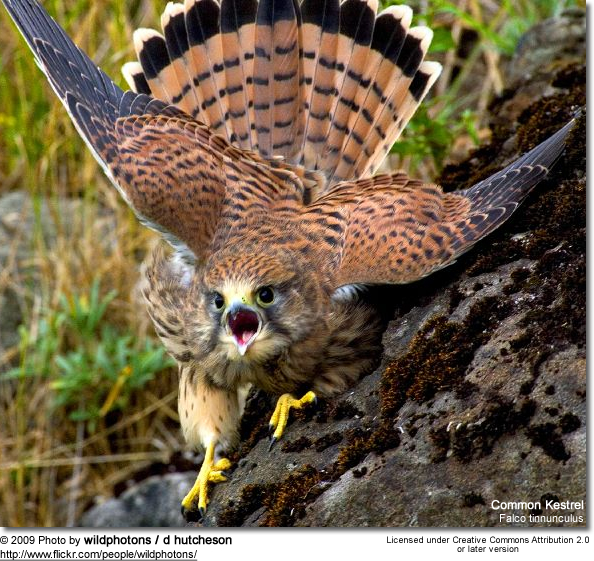 Harriers: Large, slender hawk-like birds with long tails and long thin legs. They generally hunt by gliding and circling low over grasslands and marshes on their long broad wings. 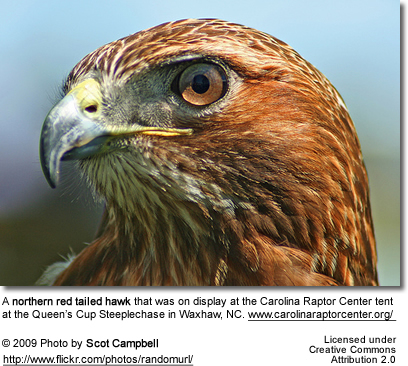 Hawks: Medium-sized birds of prey that are mainly woodland birds that hunt by sudden dashes from a concealed perch. They typically have long tails. Buzzards: Birds of prey with robust body and broad wings. 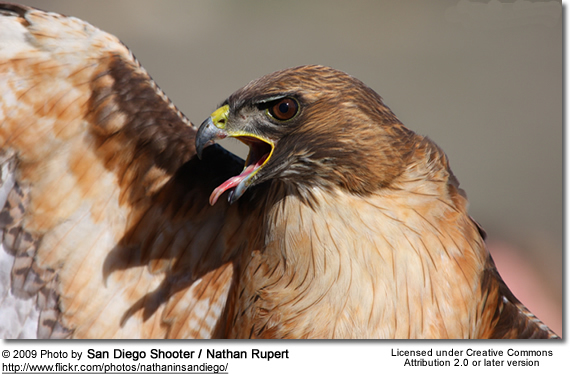 Also referred to any bird of the genus Buteo (in North America commonly referred to as Hawks).